Teleinfo telecom infrastructure telecom infrastructure management Telecom Infrastructure Management – A Worthy Consideration? 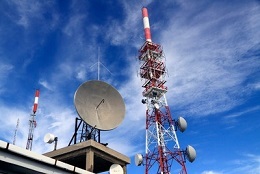 Telecom Infrastructure Management – A Worthy Consideration? The telecom industry, just like many other well established companies, is facing stiff competition from other companies operating in the same capacity in the same niche. Amidst the stiff competition, the industry also has to deal with high customer pressure as well. This being the case, the company has been looking for new ways to improve their service delivery while at the same time maintaining relatively low operational costs. All this is what actually prompted the introduction of telecom infrastructure management. This has since proven to be an active solution provider that is characteristic of advanced innovative techniques that are applicable for use across multiple platforms and situations common in this industrial sector. Another good thing about telecom infrastructure management services is that they span to more than a decade of proven expertise application. Interesting thing about all this is the fact that the services are characteristic of unique designs, set ups and development plans that have since proven to be very successfully when tested. What’s more, they have all supported the industry’s plans at a record fraction of the estimated cost. This has since proven one thing: Superior quality service coupled with organization is more than enough to keep you in control and raise your profitability tremendously. · Unlimited access to products concerned with the covering of broadband Access e.g. CMTS and DSLAM systems as well as traditional narrow brand RAS. · Collaborative and convergence products related to VOIP devices, gateways for media, Gateways for signaling as well as soft switches and IN systems etc. · Several wireless internet applications. These include: mobile and Voice portals as well as location based services which include SMS based applications. Over time, many people and even other companies have openly admitted that the infrastructure management services are not only very reliable but also scalable and can easily be integrated to meet the different telecom infrastructure requirements and preferences. All these services are solution driven to take an approach that will bring out true quality, expertise and infrastructural solutions. This clearly makes telecom one of the best partners to deal with in case you are faced by any of the common challenges characteristic of this industry at the moment. had to guess I would say it is about an experience. Truly said, not only telecom but, every industry like real estate, energy etc is being in the competition now a days.